Learn all the ways you can watch the likes of Ronaldo, Benzema, Bale, Hazard and Messi at one single tournament. All football fans know what is happening in just about three weeks time. This year is the year of the FIFA World Cup. The historic football tournament will take place once again in order to crown the king of the world of soccer. With that out of the way, let’s talk about specifics. Where is the FIFA World Cup 2018 going to take this time around? From June 14 to July 15. That is one month of high-quality ultra-intense football between the top sides in the world. Because of that this FIFA World Cup 2018 promises all viewers a ton of quality football that they will not find anywhere else (apart from the Champions League perhaps). Germany will try to defend its crown as well. Experts agree that the German national team is looking strong this year. Then there are the newcomers in the form of Iceland and Panama. Both these countries will try to impress the crowd in their debut appearances at the FIFA World Cup 2018. But what about the tournament? Are the teams mixed up appropriately? In other words, will FIFA World Cup 2018 be exciting? It will be more than that. FIFA World Cup 2018 will bring in more superstars from the world of football than ever before. So this is a pretty good time that soccer fans should start to plan on how they will successfully watch FIFA World Cup 2018 matches. The truth is, users who don’t have access to a premium sports channel on TV or an expensive cable subscription will find it tough to not only find reasonable FIFA World Cup 2018 streams but also reliable ones in terms of their quality. But you don’t need to worry. Because we have written this guide just for you. There are lots of other methods but our research shows that these methods are the easiest to follow and to implement. 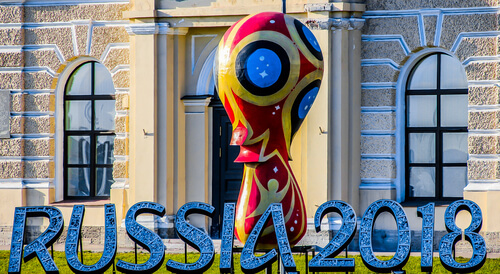 FIFA World Cup 2018 in Russia will actually go down as the 21st edition of football’s biggest tournament. Teams want to win it because they want others to call them the best in the world. TSN for people in Canada. TV2 Sumo for people in Norway. RTP Play for people in Portugal. Match TV for people in Russia. SVT Play for people in Sweden. TF1 for people in France. TRT Spor for people in Turkey. BeIN Sport for people living in North Africa and the Middle East. Super Sport for people living in South Africa. Fox Sports GO for people living in the US. FuboTV for people living in the US (again). ITV for people in the UK. BBC iPlayer, also, for people living in the United Kingdom. Users should know that in order to watch FIFA World Cup 2018 via Fox Sports Go they will need to have a subscription to a valid cable service. But what about cord cutters? Do they have some options? All they have to do is sign up for a service like Fubo TV. Fubo TV will broadcast all FIFA World Cup 2018 matches live via online streaming. For those who don’t know what Fubo TV is, Fubo TV is a streaming service that broadcasts different channels live. But its main focus is on Sports. It covers almost all major sporting events that take place in a given calendar year. 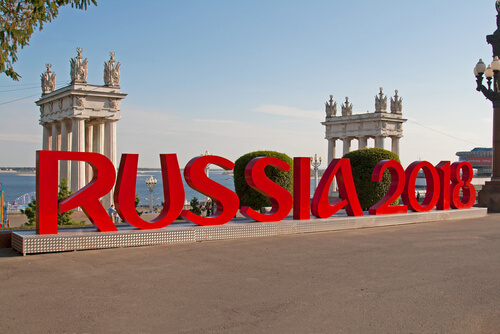 And in this calendar year, it will cover the entire FIFA World Cup 2018 in Russia. Fubo TV makes it easy for new users to come to their service by offering a seven-day official free trial. 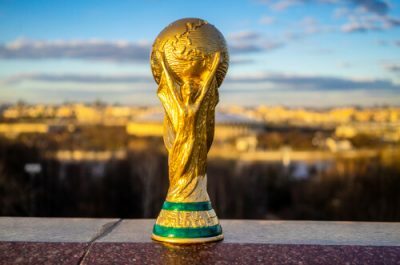 How To Watch FIFA World Cup 2018 In UK? If you live in the UK, then the best options to watch FIFA World Cup 2018 is to sign up for ITV or BBC iPlayer. Both will broadcast the entire FIFA World Cup 2018 to people living in the United Kingdom. The good thing about these two services is that both of them don’t cost users anything. Readers should know that BBC will take the responsibility of broadcasting the opening two World Cup group games of England. England will first play Tunisia and then it will play Panama. The third match will only broadcast on ITV. ITV will broadcast England vs Belgium. All in all, BBC iPlayer has scheduled to broadcast around 25 FIFA World Cup 2018 group matches. People who follow football in the UK will have the option of streaming all those matches including the FIFA World Cup 2018 Final via both ITV and/or BBC services. How To Watch FIFA World Cup 2018 In Australia? People living in Australia, just like in the UK, will have the option of watching FIFA World Cup 2018 online and live via two services. Mainly, Optus Sports and SBS. People living in Australia will not have to pay anything to watch FIFA World Cup 2018 on SBS. The channel will air it for free. 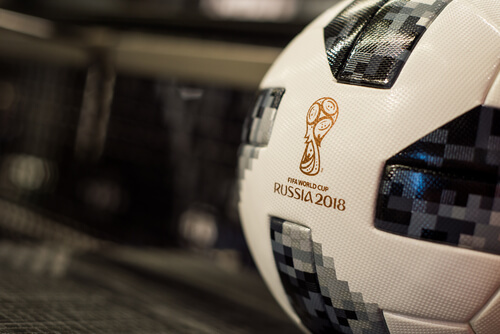 In total, it will broadcast around 25 FIFA World Cup 2018 matches. Readers should also know that SBS will show all Socceroos World Cup matches. On the other hand, services such as Optus Sports will do everything in their power to enable users to not have any trouble watching each and every game of the World Cup. Optus Sports will cover all 32 competing football teams. Optus Sports offers all new users an official and free trial for a period of 14 days. How To Watch FIFA World Cup 2018 in Germany? As far as German people go, it isn’t too hard to figure out that they love their football. That is the reason why a total of three channels will try to broadcast the whole of the FIFA World Cup 2018. They will cover all German territories. So which channels are they? All three of these channels will pull their sources together in order to show all the 64 games that will take place at the World Cup. Moreover, they will do it via free-to-air channels. ARD and ZDF will support their free-to-air transmissions via online streaming as well. On the other hand, Sky Sports managed to win exclusive rights which will grant it the permission to broadcast a total of 25 FIFA World Cup 2018 matches in UHD or Ultra High Definition. Users looking for the best method to watch FIFA World Cup 2018 in 4K should know that as far as Germany goes, their best option is Sky. Perhaps it is their only option. How To Watch FIFA World Cup 2018 in Middle East? Jazeera Sport is gone now. It is now BeIN Sports. For people living in the Middle East, BeIN Sports has managed to snap up all broadcasting rights to the FIFA World Cup 2018. They also have exclusive rights in North Africa. 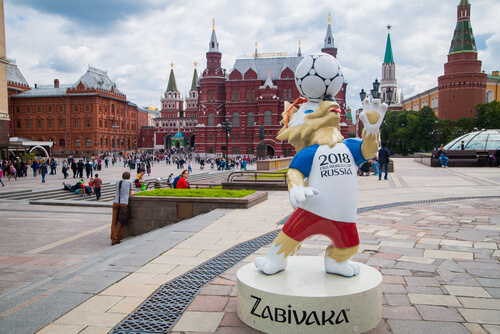 Fans of football in both of these regions should have trouble in watching World Cup games online and live via the official BeIN Connect platform. How To Watch FIFA World Cup 2018 VPN? So we have listed many ways in which you can watch FIFA World Cup 2018 online. But did you know that each and every channel that we mentioned above has geo-restrictions on its content? It means that if you don’t live in the UK then you can’t watch FIFA World Cup 2018 on channels such as Sky Sports and BBC iPlayer. That holds true even if you happen to be British expat residing in some other country. You can’t get past BBC restrictions without some special tools. In order to bypass all geo-restrictions that various streaming sites like to impose on online consumers, you will have to use a VPN service. Simply put, a VPN means Virtual Private Network. VPN is a tool that works completely online and protects all user data. When the user subscribes to a VPN service and then connects to a specific VPN server, the user basically protects his/her data with the VPN encryption technology. A VPN service encrypts all user internet traffic. It makes sure that prying eyes stay away from the user’s data. However, VPN services do a lot more than that. We want to let users know that they don’t really have to have a great deal of technical knowledge in order to set up any kind of VPN connection. And all of that has become possible because of user-friendly and intuitive VPN applications for multiple platforms such as FireStick, iOS, Android, Mac and PC. VPN services add that crucial extra layer of security and privacy to all of the user’s activities in the online world. Some users may have experienced this phenomenon where their internet speed is fairly reasonable when they try to browse websites but not so great when they try to watch HD videos via an online streaming platform. This is what we like to call internet throttling. Internet service providers usually use this technique in order to reduce the user’s internet speed. With the help of a VPN service, the user can block internet service providers from throttling his/her connection. We know of a good number of streaming services that only users of certain countries can access. With the help of a VPN service, users can easily access all streaming services bypassing all kinds of regional restrictions. Now, since there are so many VPN services in the market right now, sometimes it is really hard to pick the best one. As far as unblocking channels (the ones that will allow you to watch FIFA World Cup 2018) go, our research shows that IPVanish is the best option. IPVanish offers multiple VPN server locations. And it has VPN servers all over the globe which provide a nice opportunity for anyone to unblock a streaming site from any country. IPVanish also offers users a seven-day money-back guarantee. It means that users are free to try IPVanish in a completely risk-free manner because they can ask for their money back if they don’t like the service. But our recommendation is still IPVanish. To sign up for IPVanish from the official website and right now click here. Click here for a a complete guide on the top 5 VPN for Kodi. As mentioned before as well, a total of 32 teams will take part in the latest edition of the world cup. FIFA will divide these 32 teams into 8 groups. When Is The First FIFA World Cup 2018 Match? The first match will take place on June 14. Russia will take on Saudi Arabia in the opening game of the FIFA World Cup 2018. Now, as far as the time for the match goes, it will be different for people living in different countries. Here is a list of times that people living in different areas of the world can have a look at to see when will they be able to watch the first FIFA World Cup 2018 match. To view all the group games that will take place this June (and July) so that you don’t miss out a single World Cup game click here. Remember, that this schedule only applies to the group stages of the World Cup. We will continue to update this schedule as soon as the knockout phase begins. How To Buy FIFA World Cup 2018 Tickets? Of course, for some, the best way to watch a football match is to actually go to the stadium and watch the football match. Attending football games in person can be a life-changing experience for a few. Our research tells us that various vendors are selling FIFA World Cup 2018 tickets on a first come and first served basis. 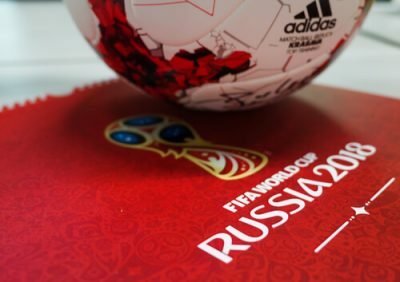 If you want to buy a ticket for the FIFA World Cup 2018 then you can go to the official website of FIFA here and start by creating a unique ticketing account there. After that, you can apply for the official FIFA World Cup 2018 tickets. The last of these methods that we will describe here is Kodi. 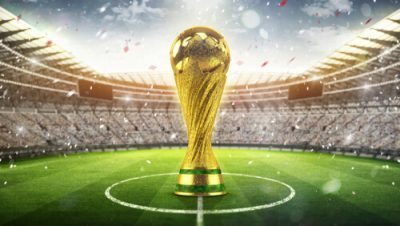 More specifically, we will show you how to watch FIFA World Cup 2018 via Kodi. It is an open source media player. Or more like a media solution. To learn how to install Kodi on your device click here. You can also download Kodi from here. Now, moving forward we will assume that you have installed Kodi on your system. With that said, let’s take a look at some of the best Kodi add-ons that we recommend to people who want to watch FIFA World Cup 2018 via their streaming devices on Kodi. Before you go ahead and install Kodi add-ons for FIFA World Cup 2018 we will recommend that you should probably get yourself a VPN service. We say that because there are some problems with Kodi. You see, even though Kodi is open source and free, the content on it may or may not be. In other words, Kodi is pretty much legal to use in every country. But the Kodi software application makes use of these add-ons which allow users to watch different types of content. The problem with third-party Kodi addons is that sometimes they enable users to stream content that has copyrights. Most of all, sometimes users may not know themselves that they are watching copyrighted content. So what does that mean for the end user? It means that if the user is using a given Kodi addon in order to stream a given movie, TV series and/or live sports event then the user is actually breaching that content’s copyrights. Additionally, users should know that copyright laws are on their own very complex. So there is no point in wasting your time on them to understand how do they work exactly. Even if you are listening to a file as small as an audio one, you can still get into trouble. And the problem will only arise one the user starts to stream content that is illegal and gets caught. If you don’t get caught, you are fine. And since you want to watch FIFA World Cup 2018, you should know that sports broadcasting channels are notoriously litigious. They know how to defend their premium content. Moreover, if the user’s internet service provider has suspicions that the user is streaming content in an illegal manner then the internet service provider can also step in and look into the matter. By that, we mean that your internet service provider has the ability to take a deep look into all of your internet activity. But you will still get it if you have not taken appropriate precautions. Don’t stream copyrighted (or otherwise) content if you have an internet connection that is not secured. The thing users need to understand here is that if they have an internet connection that is unsafe, then the internet service provider has all the opportunity in the world to see their online activity. Then they can pass the user’s information to all the sports broadcasters who want that information. Consequently, the user may find that his/her internet service provider has kicked him/her out of the internet service provider’s network. Internet service providers can also fine users for streaming illegal content. In rare cases, users may also have to face prosecution. So what’s the solution to all these legal problems when you want to watch FIFA World Cup 2018 with the use of Kodi addons? Well, as we said before, you need to use a VPN service. A VPN service will hide all of your internet traffic via encryption. It means that the user’s traffic will stay hidden no matter what. No one will have the option of looking at the user’s internet traffic. And that includes the user’s internet service provider. So if the user’s internet service provider cannot see which sites the user has gone to or what streaming services the user has utilized with the help of Kodi, it won’t have anything on the user. In short, using a VPN service is still the best way to make sure that users remain safe from the prying eyes of government agencies, marketing companies, and internet service providers when they want to stream content via online means. So which VPN service should you subscribe for? Our research shows that you should sign up for IPVanish. IPVanish is the best VPN if you want to watch FIFA World Cup 2018 online. To sign up for IPVanish and that too from the official website click here. Or you could try and make up your own mind about which VPN service you want to sign up for by clicking here. As mentioned just now, IPVanish is the VPN of choice when it comes to streaming FIFA World Cup 2018 online. But why is it the best? Is there something special about IPVanish? IPVanish provides users with super fast VPN servers. These servers deliver top streaming speeds. And that makes IPVanish the absolute perfect choice for anything who likes to watch FIFA World Cup 2018 online and in high definition. Moreover, IPVanish will cover all the other HD content on Kodi and the rest of the streaming sites as well. With movies, you can tolerate buffering. The same isn’t or shouldn’t be the case with live sports. But IPvanish is the best VPN for watching FIFA World Cup 2018 online not only because it offers great speed. It also has great security. The company makes use of the 256-bit AES encryption, which is the strongest at the moment, for all its VPN connection. Moreover, IPvanish has a genuine zero-log policy. It doesn’t know what the user is doing. And it keeps zero data on the user’s personal online activity. IPvanish also has a huge VPN server network. It consists of more than 950 VPN servers. These VPN servers are strategically placed in over 60 different countries. IPVanish also comes with an official seven-day money back guarantee. It means that the user has a total of seven days to test out the service without taking any risks. If readers use the link that we have provided enough, they might even qualify for a huge discount. On to the add-ons now. Since the Kodi platform is open source and also free, there are thousands and thousands of Kodi add-ons. However, in this FIFA World Cup 2018 guide, we will only focus on the options that will help the user to watch FIFA World Cup 2018. And that means sports Kodi add-ons. 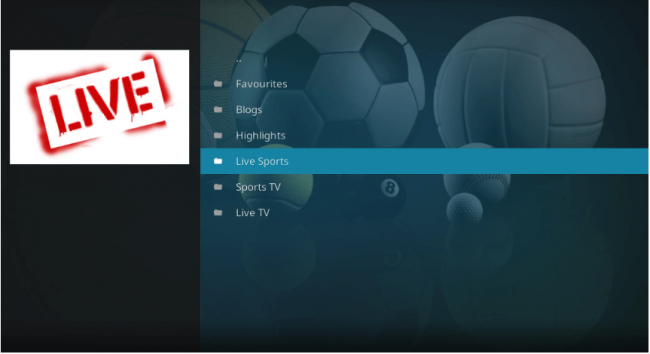 Using these sports Kodi addons you will have no trouble in learning how to watch FIFA World Cup 2018 online. With Kodi, you can watch each and every FIFA World Cup 2018 match as well. That is important because there are services available on the internet that allow you to watch FIFA World Cup 2018 but not completely. We know that isn’t what you want either. What you want is the complete FIFA World Cup 2018 experience. 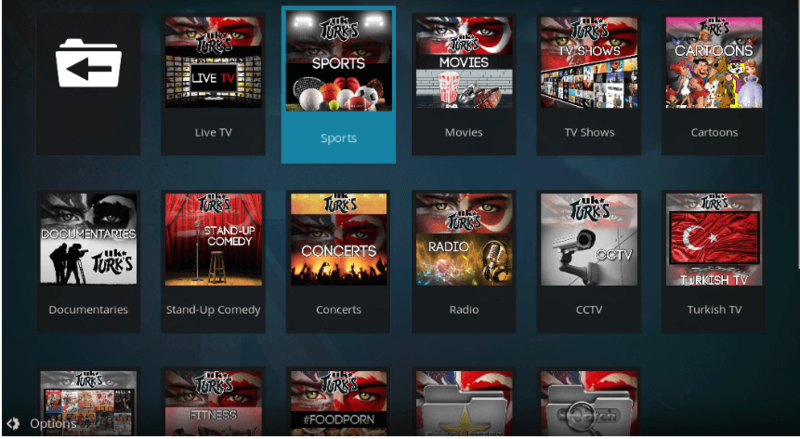 Kodi also offers options for users who want to watch sports content by catching replays. Not everyone is fortunate enough to watch these matches live. Therefore, some users require catch-up services as well. What else is one supposed to do if one cannot watch the match as soon as it happens in real life? So all of the add-ons that we will mention now will come with no cost attached to them. All you need to do is to read on to find out how to watch FIFA World Cup 2018 online. 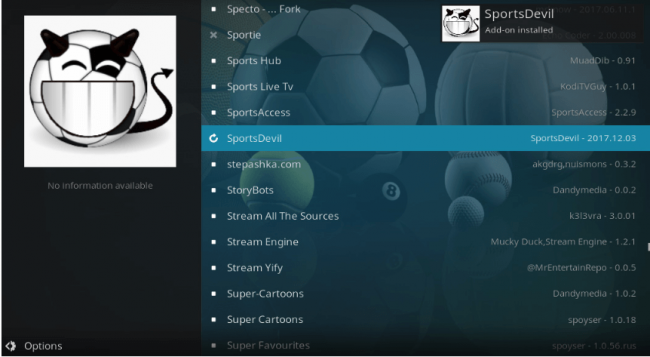 This is the first and most popular sports Kodi add-on. In fact, we think it might be one of the most popular Kodi addons regardless of category. SportsDevil allows users to watch all types of football matches. As an added bonus, there are is also content related to other sports. Users who are looking to get this done and over with, in the quickest way possible should only give attention to one Kodi sports addon. Practically speaking, this is the only Kodi addon that anyone will ever need to watch FIFA World Cup 2018 and everything else that the world of sports has to offer. Just trust us on this. If you want to watch FIFA World Cup 2018 and more, then go with SportsDevil. So how do you go about installing it? 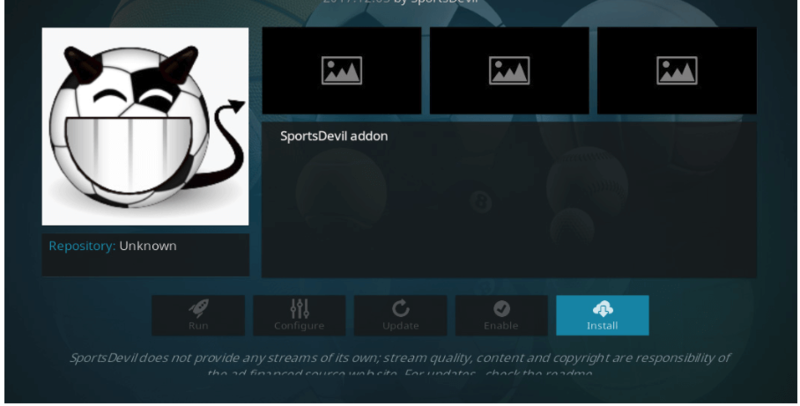 To install Kodi addon SportsDevil, simply follow the steps below. Go to the official home screen of Kodi. ANd then go to the option that says Add Source. When you have finished the previous step you need to look at the option that says <None>. Then type some text in it in the form of a URL. Remember that this is a URL. After that, you need to look at the box below the current option and give the new source a suitable name. When that is done, you need to hit the option that takes the shape of an open box. Now, you need to make sure that you click on the option that says Install from zip file. And after that, it is just a matter of finding the option kdil and then clicking on it. After that, Kodi will require you to wait for a bit before it will show you the success notification message. After you have seen the message you need to click the option that has the text Install from repository. When that is done, then click on the option that says ..Kodil Repository. Now, start scrolling downwards till you see the option that says SportsDevil. Remember that the list of add-ons will be very long. Hence users will need to scroll in the downward direction for a considerable period of time. After you have found SportsDevil click on it. If you have followed the guide perfectly so far then you should have no problem in seeing the details of the SportsDevil addon. Look at the menu button that appears at the bottom of the screen. You should see an option as Install. Wait till Kodi, again, shows you the successful installation package after probably two minutes. Once you see the message, rest in the fact that Kodi has installed the add-on for you. 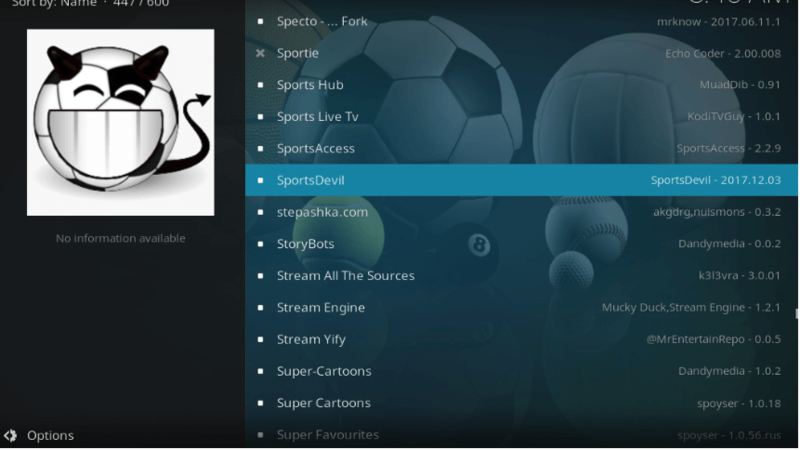 So now we have helped you to install SportsDevil on your streaming device. SportsDevil is all yours to get addicted to. Before you go ahead, we would also like to show you how to watch FIFA World Cup 2018 via SportsDevil once you have it on your Kodi device. Once there, SportsDevil will present you with a ton of options. Or just make your way to Highlights in order to see all the important soccer action that has taken place in the week before. Once in Highlights section, you will have to pay attention to the option that says Goalsarena.org- All Videos. This option will make sure that the previous week’s best action gets in front of you. There is an alternative option as well. And that is to simply click the option that says Live Sports. That will cut down the options even more. In any case, after clicking on Live Sports, you need to further perform a click on LivefootballVideo.com and/or Livefootball.ws. This will ensure that you get to have a look at all the streams that belong to live sports matches. There will come a point when you will want to watch a given match or a channel. Once you have decided on your choice, all you need to do is to click the name of that channel or the match. Kodi will automatically take care of the rest and start streaming. Now, let’s have a look at another fantastic add-on for people who want to watch FIFA World Cup 2018 online via Kodi. Pay no attention to the name. After SportsDevil, this addon is probably the most popular one. You might have noticed a pattern here. Kodi add-ons that offer a lot of different kinds of premium content tend to attract the most number of Kodi users. Following from that the UK Turk Playlists offers content such as TV shows, movies, and sports. 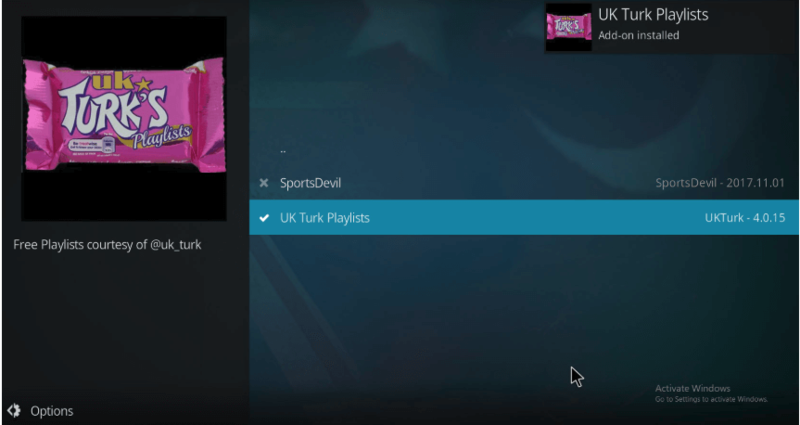 Kodi users who want to watch FIFA World Cup 2018 online can use the official UK Turk Playlists to get hold of different sports channel streams that maybe showing the exact match that they are looking for. 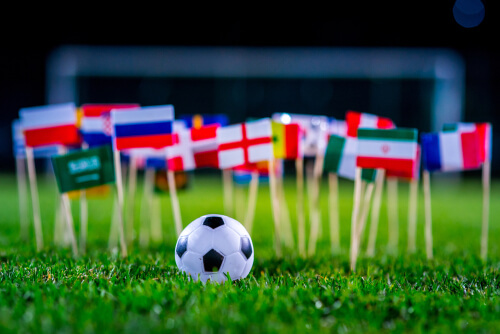 The only downside with UK Turk Playlists is that, users need to have precise information about when will a particular FIFA World Cup 2018 match take place in order to watch it at the right time by tuning in to UK Turk Playlists. With that out of the way, let’s talk about the upside as well. As mentioned before, UK Turk Playlists has a huge variety of content and if you want more than just FIFA World Cup 2018 then this addon can provide you with other top sporting channels as well. With UK Turk Playlists, users are in control. They can decide which sports channel they want to watch and from which country. Now, let’s get to the part about installing this Kodi add-on. Perform a click on the icon which comes in the shape of a cog. This is the Settings option. After clicking on it you need to type some text in the form of a URL. The URL you need to type up in this box is https://addoncloud.org/ukturk/install. Remember, since this is a URL address you cannot leave out the https:// part. When that is done, you need to give you new source a reasonable name. We suggest you use the name ukturk. Then you need to make your way back to the official Kodi home screen. After that click on the option that says Add-ons. And then make your way to clicking the open box icon at the top. From the next window, you need to hit the option that says Install from zip file. 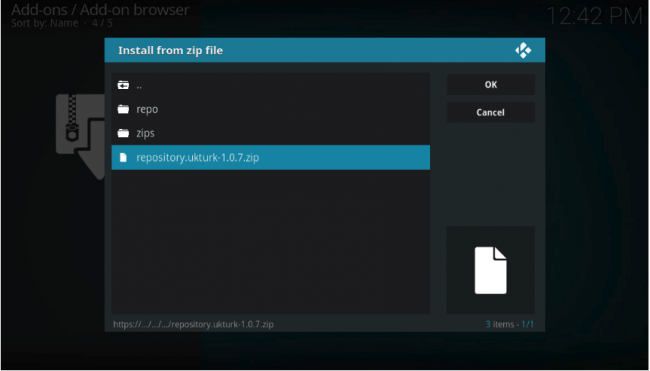 After that head on over to repository.ukturk-1.0.7.zip. This is that time of year again where you have to wait a bit. Wait till Kodi pops up the notification that tells you that it has successfully installed the new source. After the message, you need to get moving again and hit Install from repository. And then do a bit of scrolling. When you get to the option UK Turk Playlists you need to click that option. Doing so will open up a new screen. This screen will have new information about the Kodi addon that you just installed. From this screen, you have to click the option of Install. This option will usually appear on the bottom of the new window. After clicking Install, you will have to go through the waiting period again until Kodi finishes up the installation. When you see the related notification message, it means that Kodi has installed the new add-on. Now you have UK Turk Playlists on your Kodi streaming device. In other words, you can watch FIFA World Cup 2018 online with ease now. Before we move to the other Kodi add-ons for FIFA World Cup 2018 online, we would like to briefly explain how to use this addon. You already know that you can use UK Turk Playlists in order to watch channels that broadcast sports from each and every worthy corner of the globe. Of course, you will have to know which match you want to stream and when beforehand. 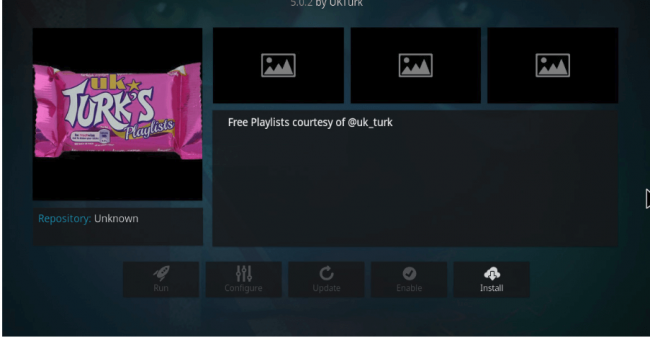 UK Turk Playlists is essentially there for Kodi users when they feel like streaming their favorite content. This is how you go about doing that with UK Turk Playlists. Then head on over to add-ons. After that move to Video add-ons. When that is done, you need to click on the option that says Sports. Now, users must scroll in the downward direction to see the list of available channels. Look for the option that says BeIN Sports if you are looking for the French coverage of FIFA World Cup 2018. For US coverage, click on Fox Sports US. And for UK coverage, hit the Sky Sports Football option. After clicking the appropriate option, Kodi will bring up a new list. This list will contain all the streams that are related to the FIFA World Cup 2018 tournament matches. Click your preferred channel stream and Kodi will steam the content directly onto your streaming device. There is also an option of watching live channels. So make sure you give it some time as well. Modern life is comparatively busier than the life people lead back in the 80s and even 90s. In other words, people don’t have a lot of time to sit down, schedule and watch each FIFA World Cup 2018 match live. As it turns out, there is no harm in letting go of some matches. 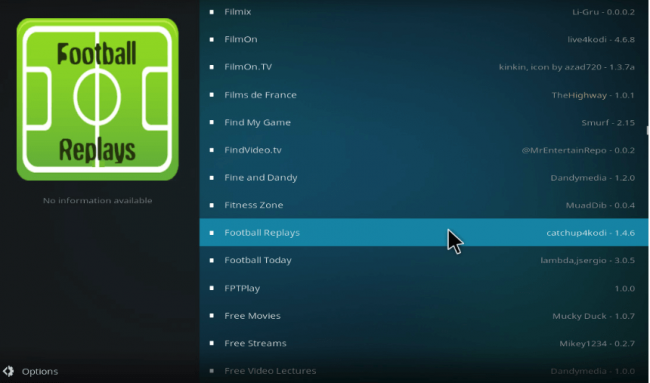 Football Replays is the Kodi add-on for people who may have missed a match. It allows users to watch the missed FIFA World Cup 2018 match at a later date after it aired live. Not having time is one thing, but having several simultaneous FIFA World Cup 2018 group matches broadcasting on the same day is another. This is especially true if the country that is hosting the FIFA World Cup is a bit further away from the user’s home country. If the hosting country is far away then users will find all the live matches taking place smack in the absolute middle of the night. So install this Kodi addon and get rid of that problem. Here are the steps users need to follow in order to watch FIFA World Cup 2018 online with Football Replays. Then head over to the application’s main home screen. From there it is again a matter of clicking on the icon that comes in the shape of a cog, or the Settings option. Then, the user has to go to the option File Manager. After that, users should select the option box that has <None> written over it. A similar text input field will appear on the screen. Users will have to type https://kdil.co/repo/ inside the text field. Again, we want users to exercise caution here and not forget about including https://. Otherwise, the link will simply not work. After typing up the URL in the correct manner Kodi will want the user to give the new source a good name. Our recommendation is that the user should go with kdil. Once the user has given the source a name, he/she should click on the option OK.
As usual, after doing so the user will have to go back to the Kodi home screen again. And then choose the option Add-ons. Then the user has to select the icon that comes in the shape of an open box. And then select the option that says Install from zip file. After that, the user has to select kdil from the given options and then go to the option that says kodil.zip. Again, the user will have to wait for a minute or less before Kodi shows the user a notification informing the user that it has installed the required Kodi addon repository. When the user sees that notification he/she should move ahead and click the option that says Install from repository. And then it is just a matter of selecting the option ..Kodil Repository. After that, the user should just click on the option that says Video add-ons. Now is the time to scroll down a little bit, or maybe even more, depending on your screen size, to find the option that says Football Replays. Once the user has come across the Football Replays option she/he should click the option. As simple as that. The next step is to look at the new screen that will appear which will also describe that the new addon is supposed to do. From that same screen, users should find the option that says Install and select it. Usually, this option appears right at the bottom alongside a menu. Then users will have to play the waiting game again until Kodi is done with installing the new add-on. Once the successful installation notification comes on the screen, users can move on to the next step. The next step is to use the addon to watch FIFA World Cup 2018 online with Kodi. 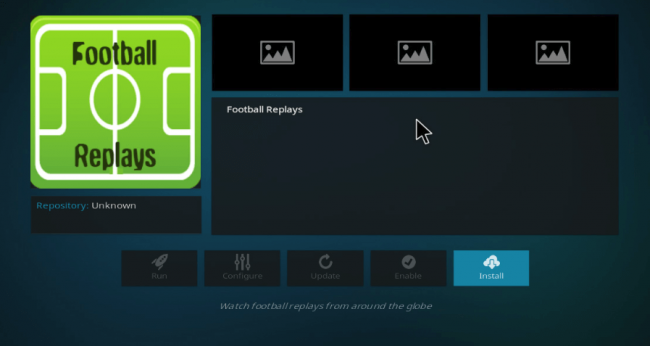 In simpler terms, now you have Football Replays on your Kodi streaming device. It is installed, in other words. Now the only thing left is for the user to use the Football Replays addon in order to watch FIFA World Cup 2018 even after they have aired. The first step, as always, is to simply go to the official homepage of your Kodi application. Then click on the option that says Add-ons. After that, select Video add-ons. 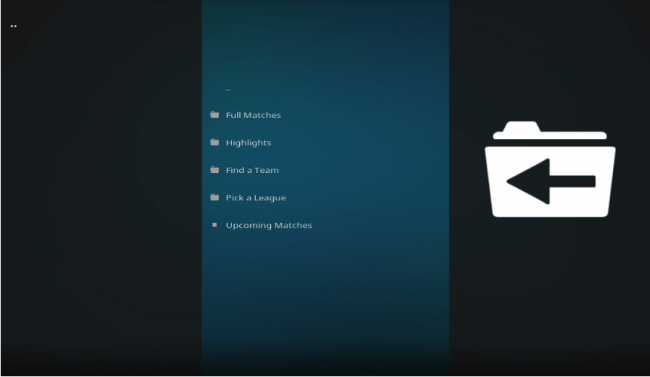 Once you have arrived at the Football Replays main menu, you need to select the option that says Pick a League. After that click on World Cup. The new window should show an option called Full Matches. Click this option if you want to view full FIFA World Cup 2018 games. There is also another option called Highlights. Click this option if you want to watch FIFA World Cup 2018 highlights or, in other words, the most important moments from any given game. Once the user has selected his/her required option, either Highlights and/or Full Matches, Football Replays will show the user a list of current FIFA World Cup matches. Along with that, it will show users when and where the match is/will taking place. Choose the name of the given FIFA World Cup 2018 match to launch its related stream. 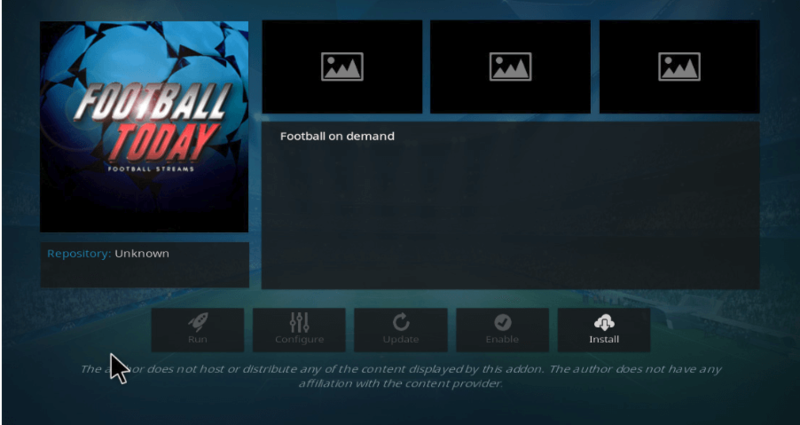 Another one of those really handy Kodi addons that football fans of all ages should give a try. 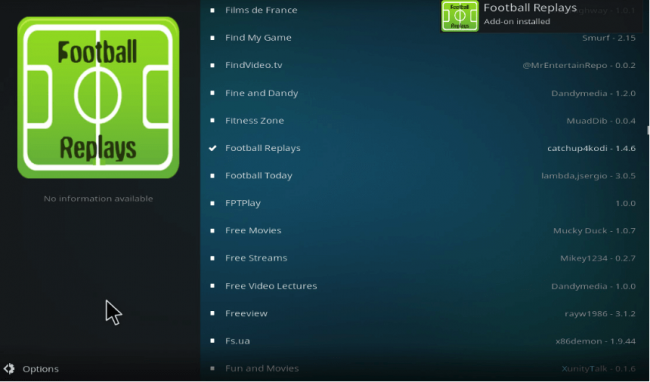 Football Today comes packed with streams for football matches from almost all the major football leagues in the world. Football fans should know that there is a high probability that Football Today would have streams to all World Cup matches. In fact, this is perhaps the most useful Kodi add-on for international football fans. Here is what you need to do in order to install Football Today Kodi addon right here and right now on your Kodi streaming device. Then use the keyboard to type the following https://kdil.co/repo. Just like before, make sure you don’t forget the https:// part because Kodi will not work without it. Again, you need to give the new source a name. Kdil is the one that we suggest. After that click on the option that says OK.
And then select the option that says Add-ons. After that click the option that comes in the shape of an open box. When that is done, go ahead and click on kdil. After that, wait and see for a couple of minutes if Kodi shows you the notification. If it informs you that it has successfully installed the new repository then move ahead. Otherwise, check again if you have followed the steps correctly. When you are finished with the previous step you must choose Install from repository. Then search for the option that says Kodil repository. Once found, click on the option. And then select the option Video add-ons. When that is done, do a bit of scrolling in the downward direction to come across the option of Football Today. Once you see the option just click it. 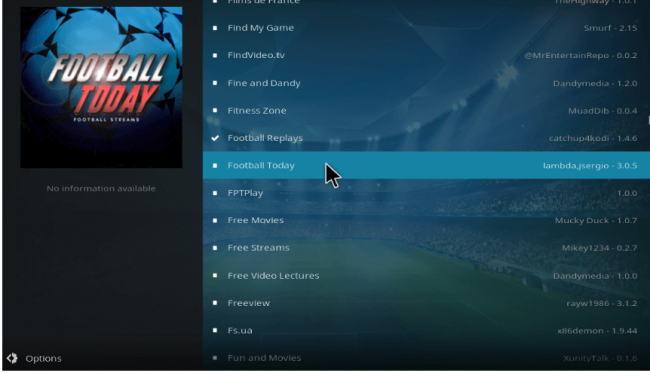 If you have followed all the steps correctly, then Kodi should show you a new screen which will describe the Football Today add-on. Now you just need to select the option of install. This option can easily be accessed from the menu that appears at the bottom. Once you click install you will need to wait for a while before Kodi does its magic and installs the new add-on for you. When Kodi is finished, it will show you a relevant notification. Now you have Football Today on your streaming device. Now you need to know how you can use Football Today to watch FIFA World Cup 2018 matches. After that choose Football Today. Select the option that says Games. 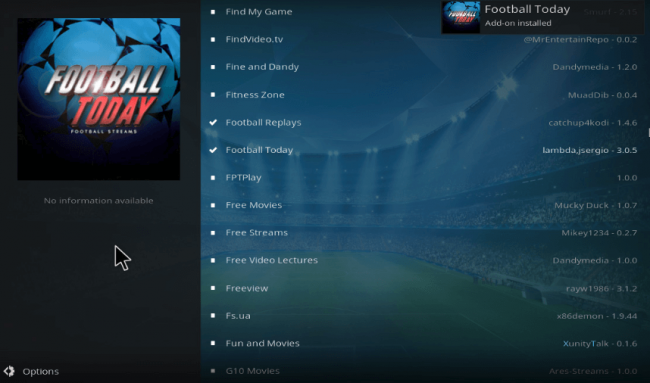 Your Kodi setup will now show you a list of all the football games that channels are broadcasting either on the day or in the upcoming weeks. Search and find the specific FIFA World Cup 2018 match that you desire to watch. After that just click on the specific name of the FIFA World Cup 2018 match in order to let the add-on bring up the complete list of available streams. Click on any stream to start streaming FIFA World Cup 2018 online. 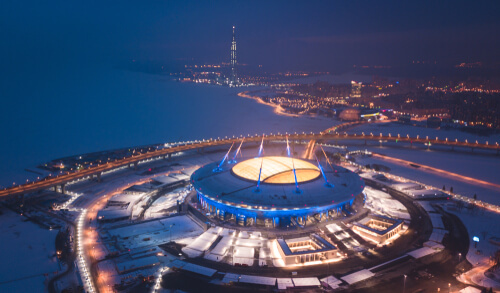 As mentioned before, the FIFA World Cup 2018 will start in about two weeks time in Russia. You can expect a lot of great matches between great teams. Remember, in order to have the total FIFA World Cup 2018 experience you will need to watch not only the knockout rounds but also the group stages. That way you will treat yourself to a high level of football that you probably deserve. This guide has shown you methods that will work for users who don’t have access to good dedicated sports or football channel. And also cannot afford an expensive cable subscription package. For all such cases, we recommend that users should either go with Kodi or unlock streaming sites with a VPN service. We have already mentioned the list of Kodi add-ons that you will need in order to watch FIFA World Cup 2018. If you follow our guide with care, you will not miss a single FIFA World Cup 2018 game. So which team are you going to support in two weeks time? Will you use Kodi to watch FIFA World Cup 2018 online or some other method? Use the comment section below to let the conversation started. I used to watch bein sports in Palestine. I really love the arabic commentators, it is a whole new level. Is there a way I can get bein sports in arabic? I mean i saw your other post about ways to go about it, but if i want it for the tv, do i need to get their “device”, any tips would be appreciated. Click beinsports.com/ar/ to watch FIFA World Cup in Arabic. But beIN sports stream will cost you around $11. There is a free option as well. Yes NordVPN is a great alternative if it works for you. I use Purevpn to by pass geo restricted content and yes get accessibility to stream netflix, hulu, bbc iplayer and so on. Yes, PureVPN is a good choice too. Our research shows IPVanish is the best VPN for streaming and privacy. But users are free to make up their own mind.